Before I really start using this blog I'm trying to teach myself how to post on it. 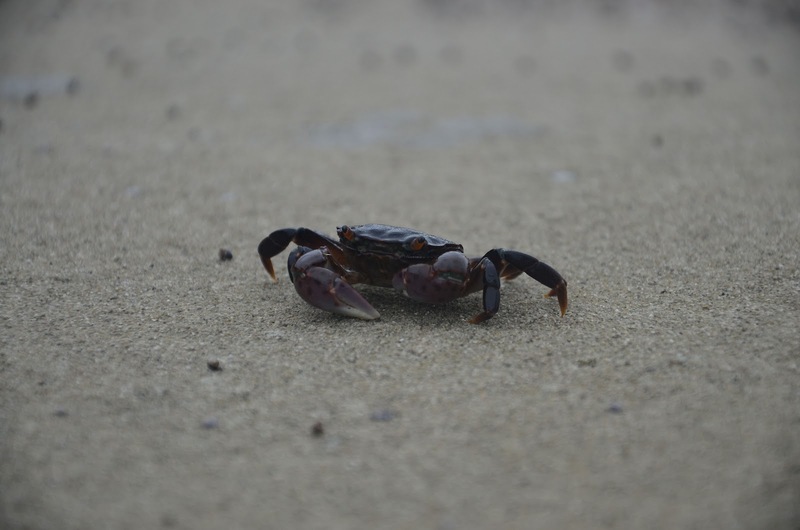 So here goes, an image post of a purple shore crab on a sandstone beach. If you stick around you're likely to see more of this beach. This little guy let me get some nice shots of him before zipping away back into a tidepool. I was surprised how much detail I managed to catch in focus using my kit zoom. Assuming this post works ok I'll post up some of the shots of this kind of shore life captured with a macro lens. Much more impressive.